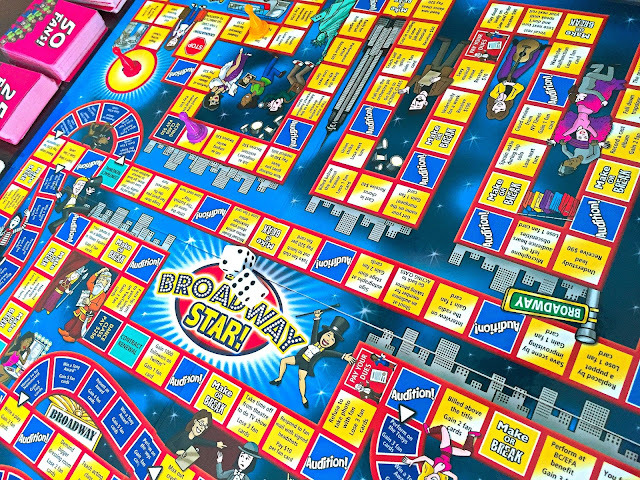 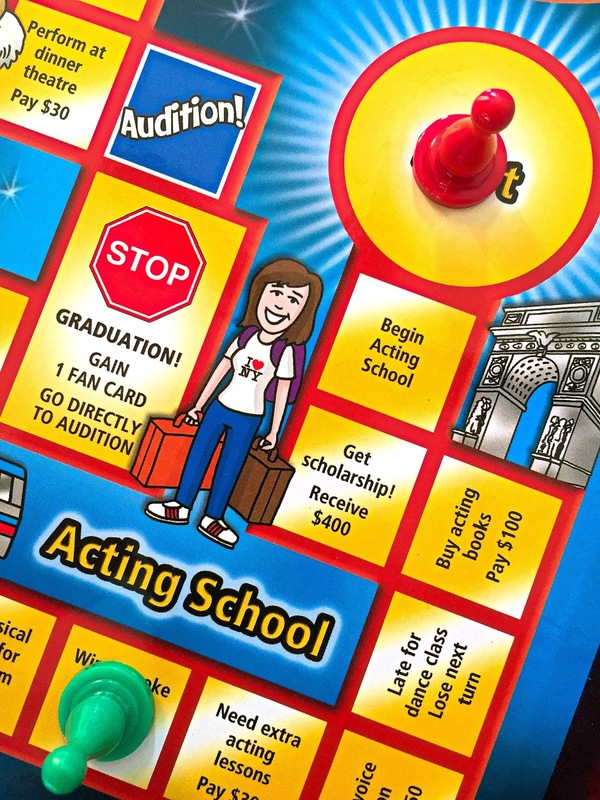 Be A Broadway Star - the brand new board game that puts YOU in the spotlight! Just remember, at the end of the game, whoever has the most fans wins! 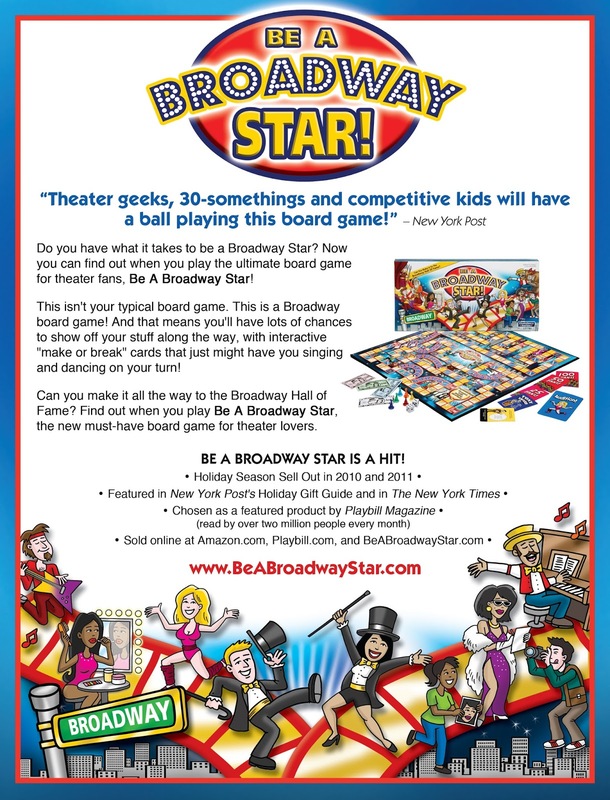 Find out today when you play Be A Broadway Star, the brand new board game for Broadway theater lovers of all ages. 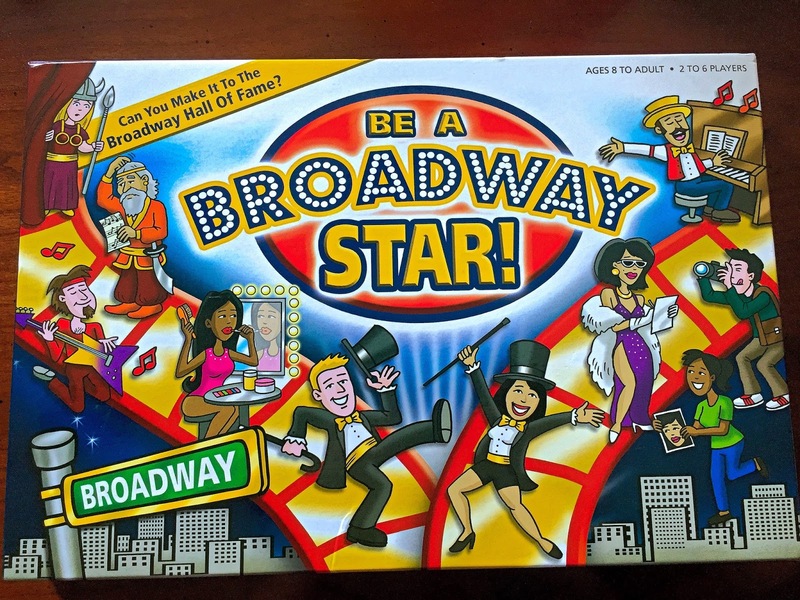 If you are a lover of musicals, Broadway or just like to perform, you will love this game. Life and Monopoly you simply roll the dice, follow the board, draw cards, make and pay money, until the end where you are crowned the Big Kahuna or in this case make it all the way to the Broadway Hall of Fame. 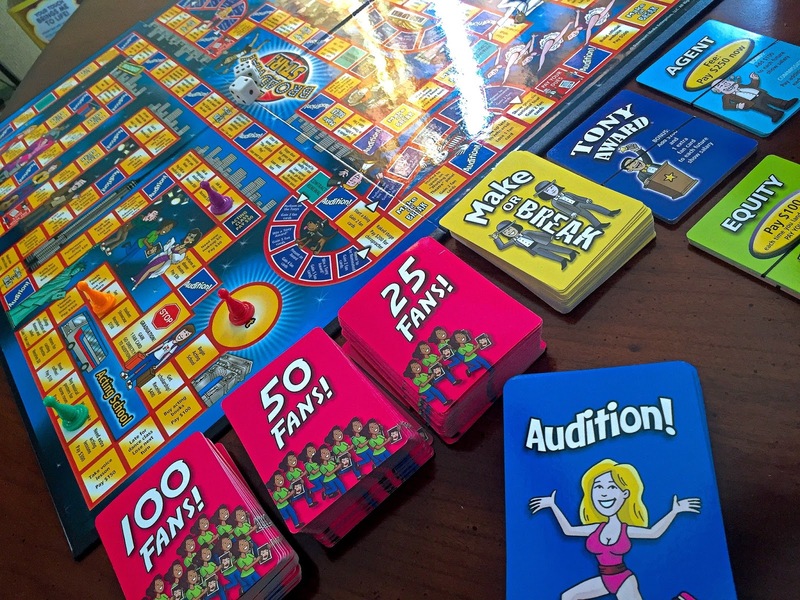 Make a hero's entrance including the line "Here I come to save the day and so many more. 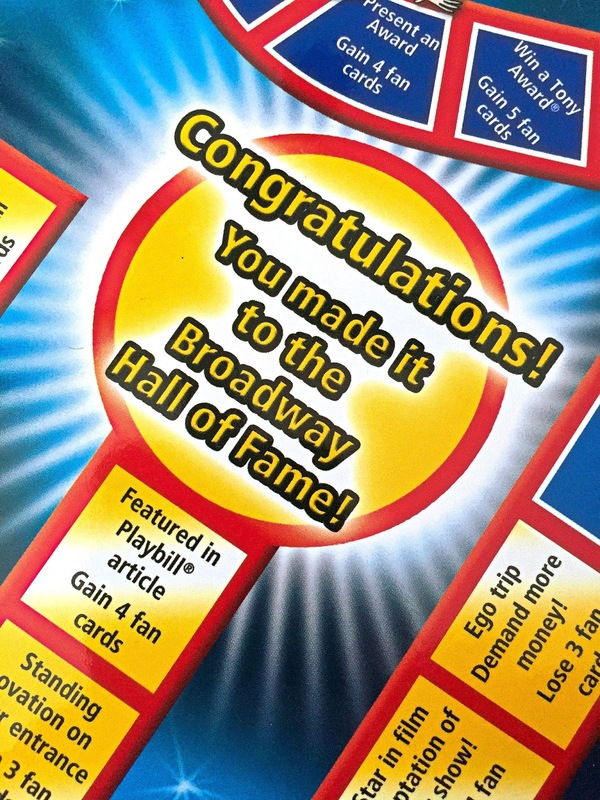 BTW..these cards get you 4 addition fan cards. 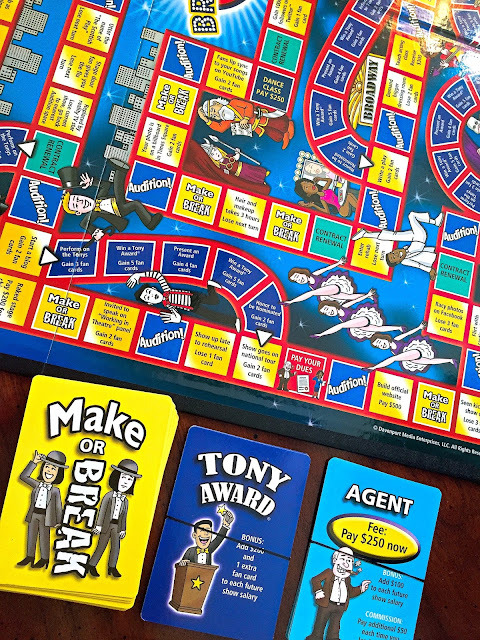 Playing with the kids was hard because there were things they just didn't know but we changed it up to make it work for them like name three songs from Annie, sing a song from The Lion King, dance like no one is watching, etc. 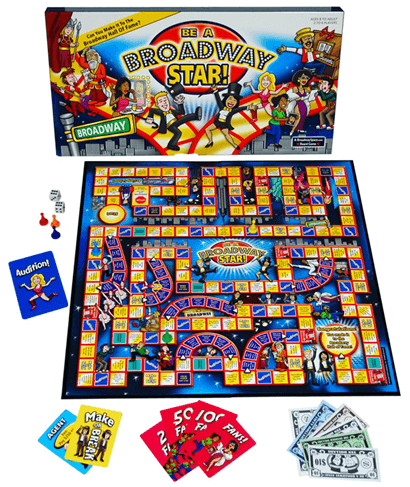 We had a great time playing and I know a lot of friends who would absolutely love this game. 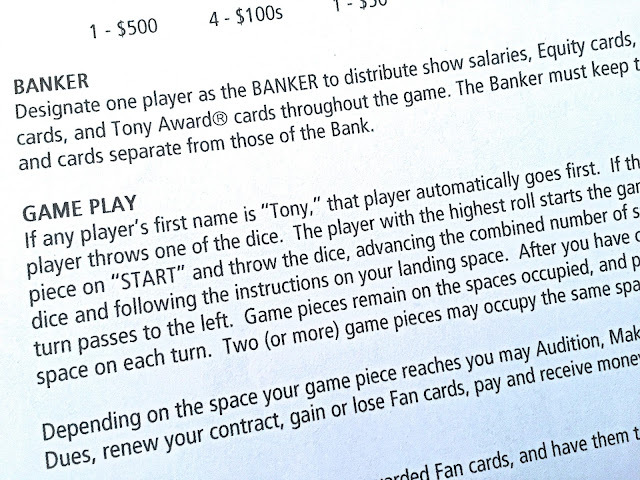 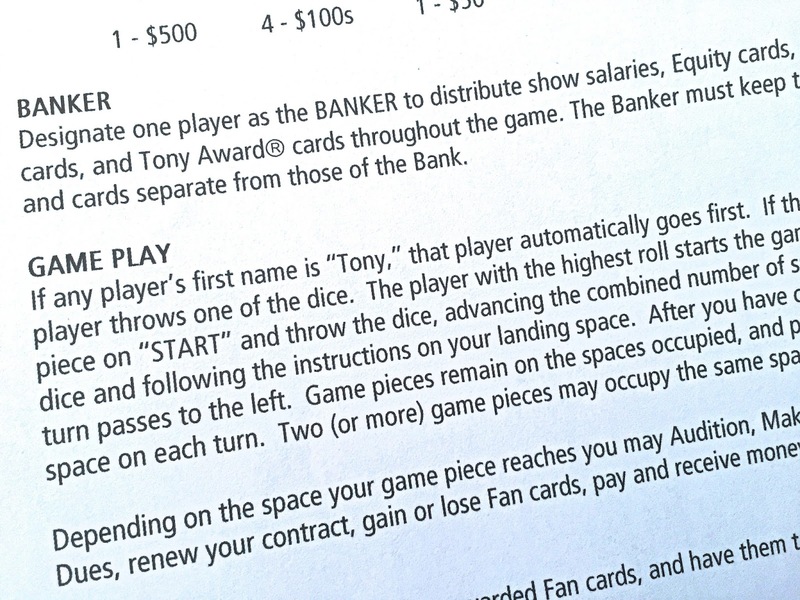 Oh and another thing; anyone named Tony is at an advantage because they will always get to go first. Idina Menzel beats you for a Tony tell her how you really feel.